Matt Goff is Archivist for Kraus-Anderson. The recent demolition of Southways marks the end of an era. The century-old, massive 32,000 s.f. estate was built by one of Minnesota’s pioneering business scions a century ago as a summer home. But all things pass, and the Lake Minnetonka landmark once called “one of the most alluring homes on Lake Minnetonka” sat on the market for 10 years before being torn down in August 2018 to make way for redevelopment of the site, set on 13 acres of prime real estate. Now gone, Southways won’t be soon forgotten, however; especially by the Kraus-Anderson team that managed an extensive renovation of the house that extended its life in the early 1990s. Completed in 1919, Southways was built as a summer residence for John and Eleanor Pillsbury. They chose a spit of land called Bracketts Point that juts into Lake Minnetonka, separating Smith Bay and Browns Bay. They hired architect Harrie T. Lindberg, who designed many prominent east coast residences, but was a stranger to Minnesota. Bracketts Point gave them a unique site with lake views on two sides, and Lindberg designed for them one of the most splendid residential buildings Minnesota has ever seen. Bracketts Point from the estate of fellow flour magnate William Dunwoody. The architect they chose was well known at the time for building luxurious mansions for America’s commercial aristocracy, and his particular talent was for creating spaces that were comfortable and usable while maintaining the scale and opulence expected of homes for the wealthiest families. Lindberg designed a residence that is a mix of Georgian and Tudor Revival. The house was made mostly of recycled brick, which gave it the look of age when it was new. The detailing was exquisite. 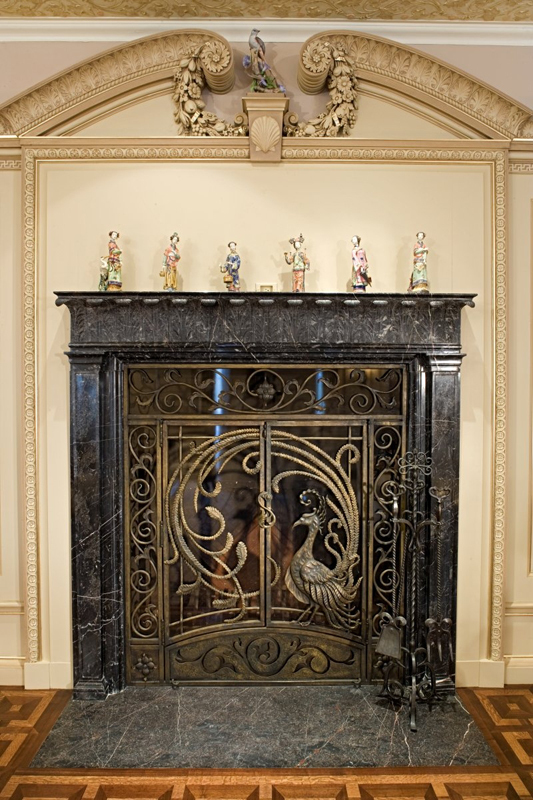 Master ironworker Samuel Yellin created many pieces for the house, including an elaborate peacock adorning the front door. Ornate wood carvings and other detailing enriched Southways inside and out. The streetcar reached Lake Minnetonka in 1905, so by the time Southways was constructed it was already reminiscent of an earlier era of estates, some attached to small farms, and cottages where people went to get away from the city. While very connected to the city, Minnetonka was a place where people went for leisure and amusement, but also a place where people lived. John and Eleanor Pillsbury, however, lived in Southways only seasonally. When Eleanor Pillsbury passed away in 1991, Southways was purchased by James and Joann Jundt, who through their thoughtful restoration of Southways, became patrons of architecture and of history. One of the unique features of Southways is that it was not designed to be inhabited during winters in Minnesota, so the restoration and repurposing of this estate for year-round living was complex and extensive. The Jundts hired Kraus-Anderson for the job, working with New York architect firm of Beyer Blinder Belle, a firm renowned for its residential and historical renovations. When we first got the call, my initial response was, “we don’t do houses,” said Gary Benson, at the time a project manager at the Kraus-Anderson office in Circle Pines. But when the details of this unique project were provided, KA took on the challenge of the renovation, which underwent numerous change orders extending over four years and exceeding $10 million. As project secretary for the job, Ramona Holmes was witness to most of the work, from her desk set up in the basement of the house for four years. “We worked with some of the finest craftsmen and architects and engineers in the world,” said Holmes. “We made craftsmen out of people who weren’t craftsmen,” added Benson. Restoration made the home fit for year-round contemporary living, with the addition of air conditioning, all new electrical systems, updated plumbing, new kitchen with terrazzo tile, new slate roof, epoxy repair of exterior timber, and tuck-pointed brick. All 117 windows were replaced with double pane glass. An outdoor pool and new greenhouse were added. The former kitchen was converted to a garage. Two 30,000-gallon water tanks were buried in the front yard as a fire fighting precaution. In addition, lavish upgrades were incorporated throughout. The dining room seated 30 people. 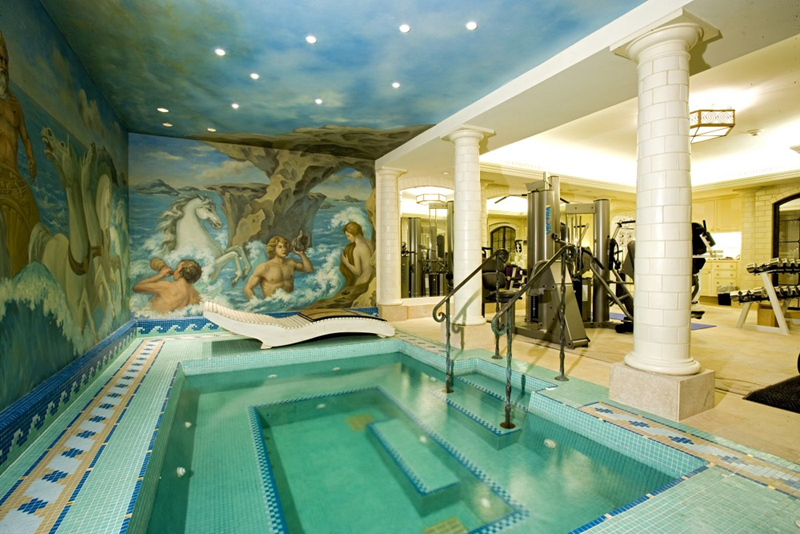 A spa was installed in the lower level with a sauna and custom-painted mural. 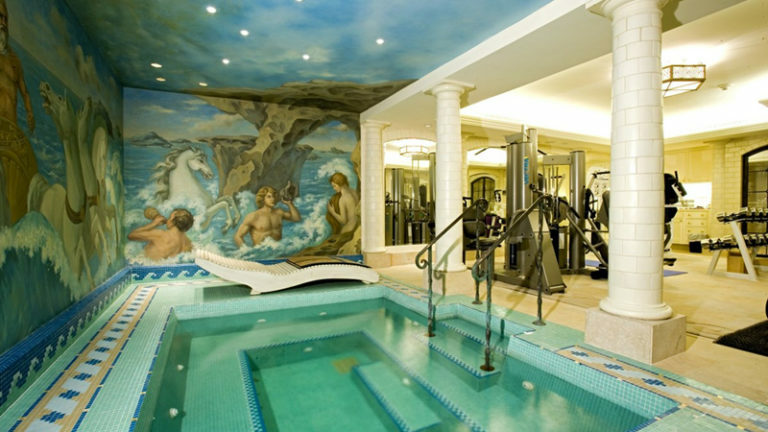 A dressing room was paneled in yew wood, fitted with Italian leather tiles and adorned with a vaulted ceiling with another custom mural, this one depicting scenes from Greek mythology. 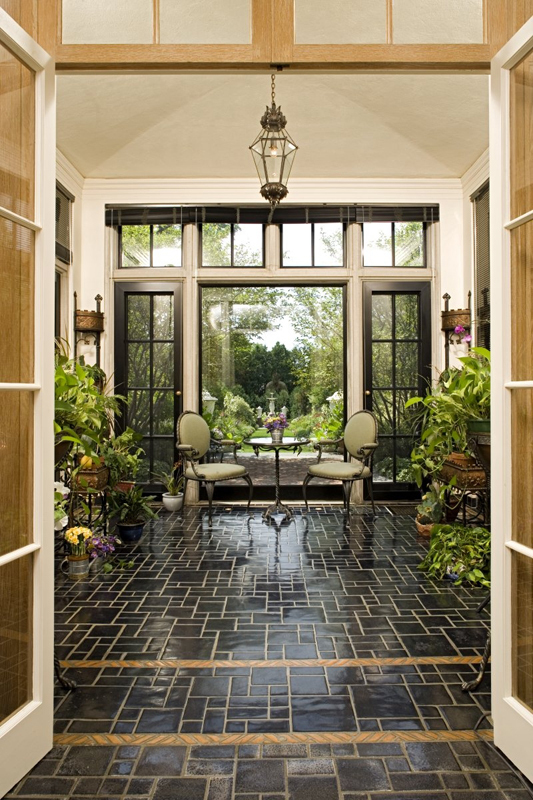 Bluestone tile was brought in from Vermont, which proved incompatible with the harsh Minnesota climate. were lost in a fire at the Circle Pines office and had to be imported from Italy a second time as a rush order. The basement of Southways flooded during the restoration. Furnishings and fixtures were imported from all over the world. A massive fountain came from Italy. “Mr. Jundt joked that he gave his wife an unlimited budget and she exceeded it,” said Benson.